Out with the old, in with the new. 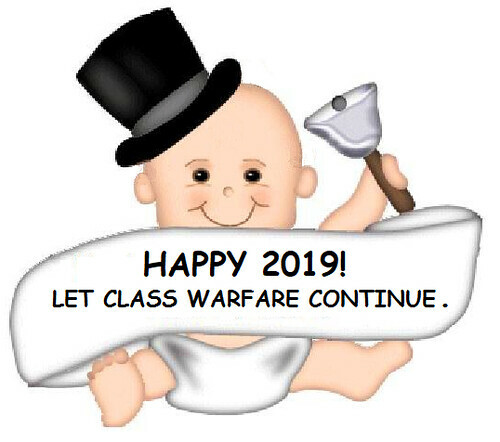 Happy 2019. Keep your head down in the New Year and you just might survive it. “New Year,” written and recorded by Sugarbabes (Siobhán Donaghy, Mutya Buena and Keisha Buchanan) in 2000. Video director: Alex Hamming. “Happy New Year, Baby,” by the Johnny Otis Orchestra, with vocals by sax player Lem Tally and Cathy Cooper. “Auld Lang Syne,” lyrics written by Robert Burns in 1788, set to a traditional tune, rendered by The Real McKenzies, a Canadian Celtic Punk band, with Gord Taylor on the highland pipes. “After New Years Eve,” written by James “Shep” Sheppard and William Henry Miller and recorded by The Heartbeats. James Sheppard sings the lead vocal. “New Years Resolution,” written by Stax Records staffers Randle Catron, Willie Dean “Deanie” Parker Catron, and Mary Frierson, recorded by Otis Redding and Carla Thomas in 1967. “What Are You Doing New Year’s Eve?”was written in 1947 by Frank Loesser, and became a hit R&B record for The Orioles two years later.